Let's be honest here. Many of measure the standard and quality of an establishment by the state of its bathroom. It is, first of all, the one room that every dwelling or commercial venue invariably has, and is therefore the ideal standard measurement. 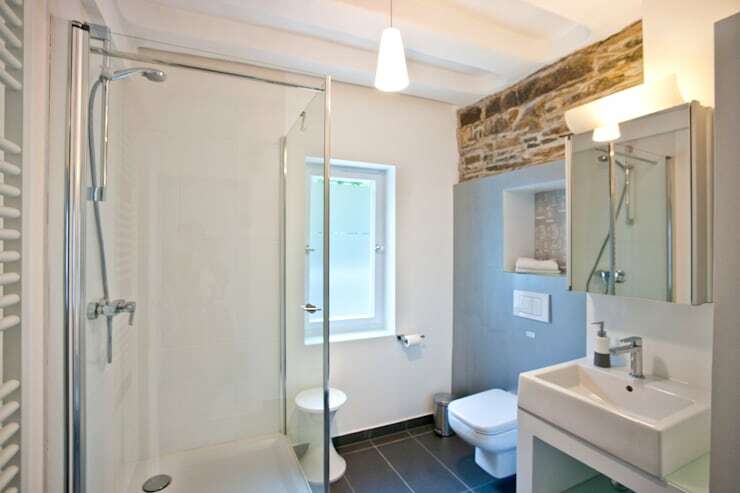 Secondly, you can tell a lot about the quality of a place by taking a look at the effort and time that went into creating the so often neglected bathroom. Being very aware of this fact, the biggest and best hotels put a lot of thought into designer their bathrooms, as with all other spaces in these palaces. Although the results are undoubtedly amazing, it may be difficult to recreate due to the difference between a personal and 5-star hotel budget! 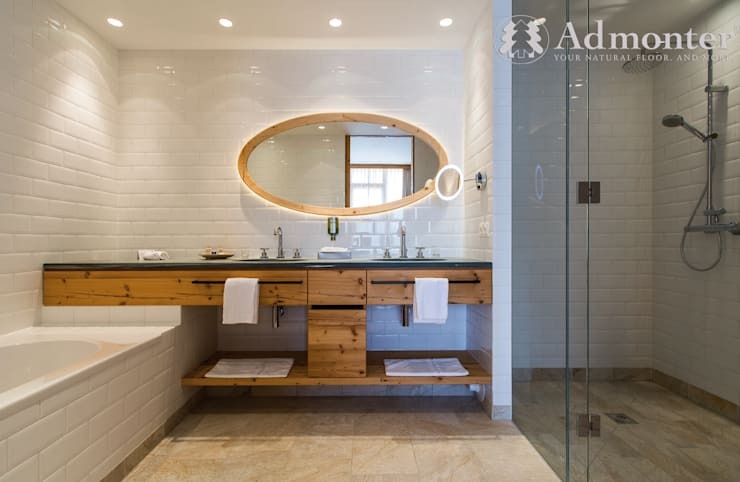 There are, however, small and less expensive tricks and trends you can implement in your bathroom to make it look like it belongs in the world's top resorts. 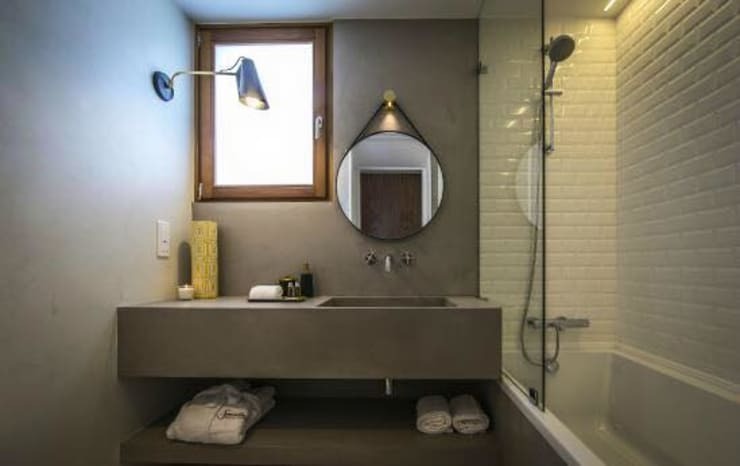 Today on homify, we will show you 13 of our favourite hotel bathroom designs and how they can be recreated. Let's take a look! This beautiful hotel bathroom is seems very up-class, but the look can be easily recreated by anyone wo has a sense for eclectic style. Simply mix elements from different styles, but which still suit each other, into a mix of elegance. 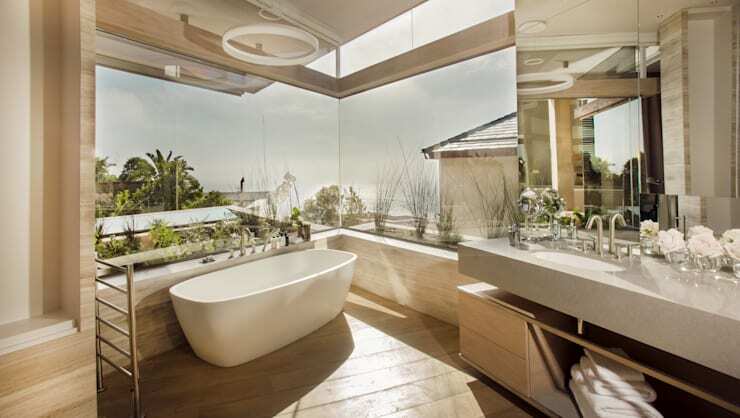 This panoramic hotel bathroom is lovely and inspiring. Wouldn't you also want a special room with a view like this? Well if you have a little money in your renovation budget, why not insert some large windows to accommodate this dream?! 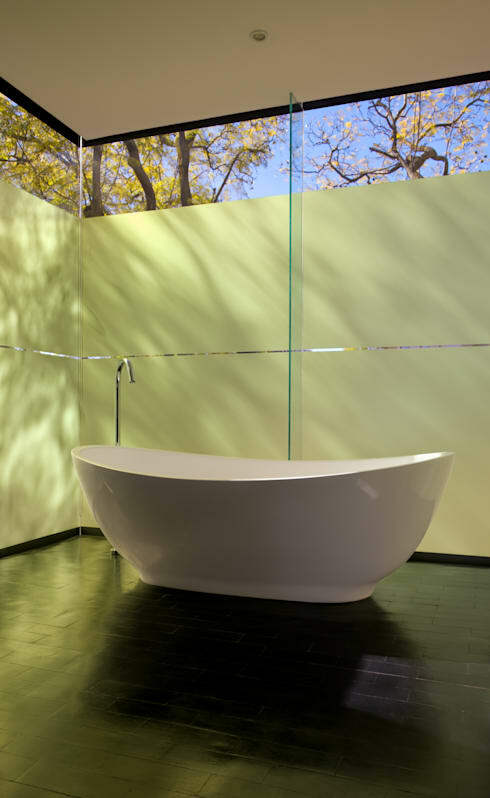 A large, free-standing bathtub is a great solution to bringing a sense of opulence to your home's bathroom. 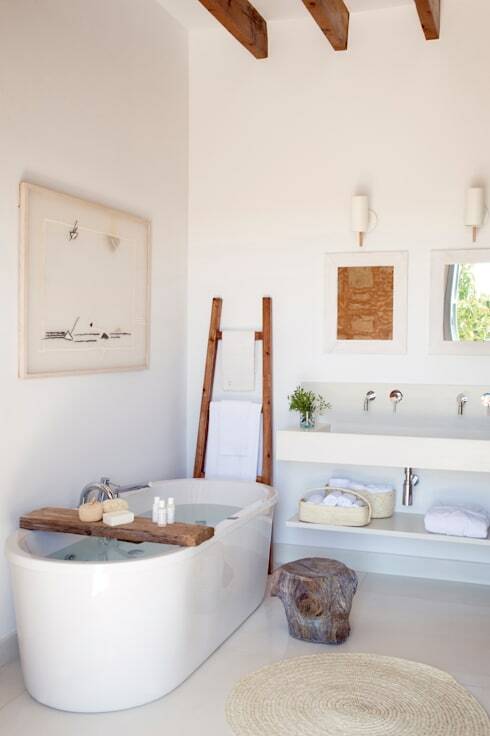 Give your bathroom the charm of a country inn by adding raw wood and natural elements to a clean and white space. A stylish wallpaper design does not have to break the bank, but can definitely build the image of your bathroom. A comepletely white bathroom can be turned into a professionally designed space by adding some interesting curves in the structural elments, such as the tub. The industrial style is something we see popping up more and more in the world's trendiest hotels. Fortunately, this is easy to replicate, since raw materials such as concrete, steel and wood are perfect to create the image. Subway tile has been a trend in interior style this past year, and we're not quite through with it yet. In a sleek and glossy white, this is the perfect wall covering to take your bathroom to the next level. Keeping things clean and simple may be the easiest way to achieve a hipster hotel look. For those among us who are looking for something a little more luxurious, you can invest in a metallic wall coating that will make you feel like you are bathing in a palace. Marble has long been associated with elegance and riches. You are sure to find this material in most luxury hotels of the world. 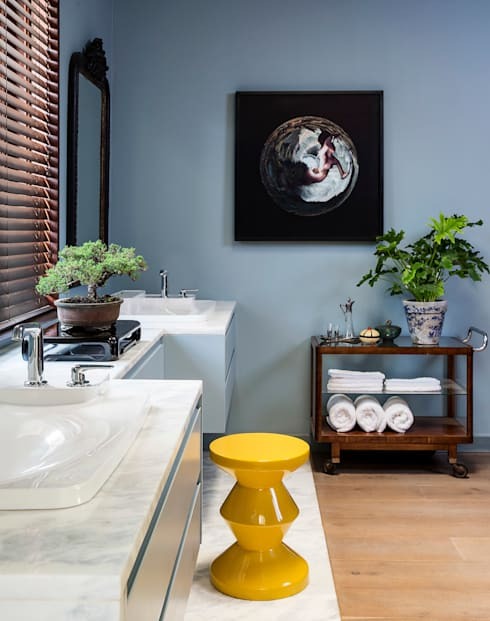 If you can incorporate it into your bathroom design, even if only in the basin, you are sure to bring another layer of class to your home. 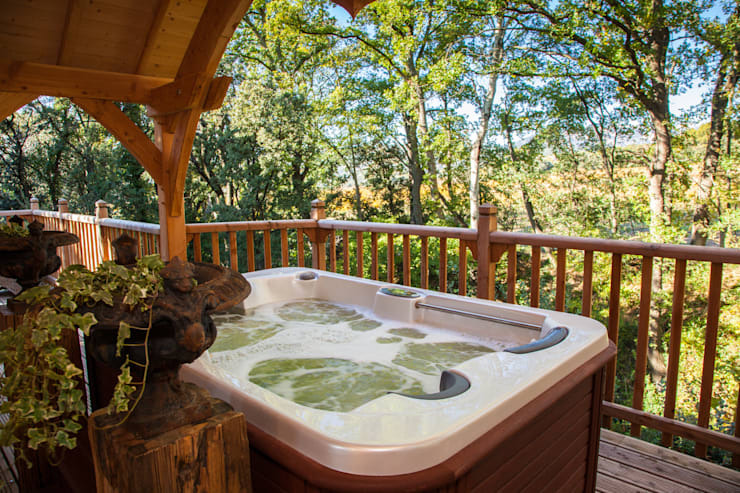 What better way to say 5-star resort than by adding a jacuzzi to the mix?! 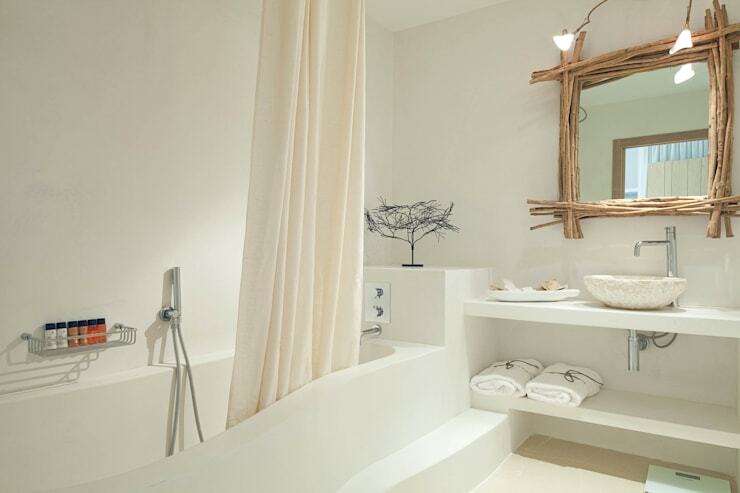 A thoughtful mix of different materials in your bathroom can produce a classy space. 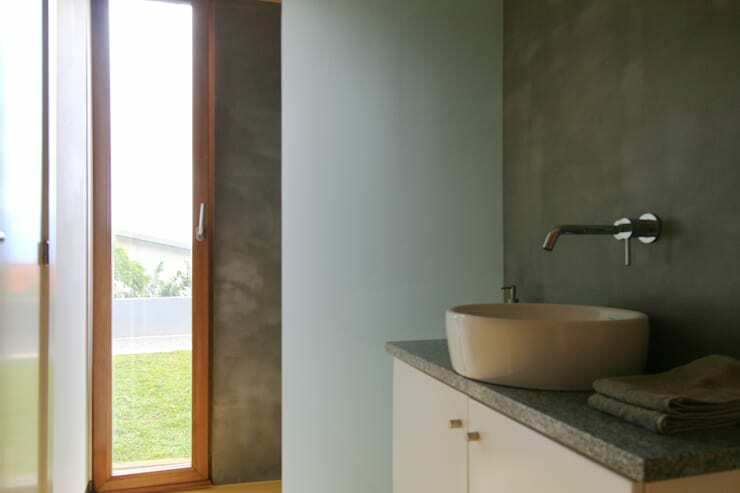 Here we can see the use of plaster, raw stone, wood and ceramic tiles. The result, we are sure you will agree, is nothing less then stunning. 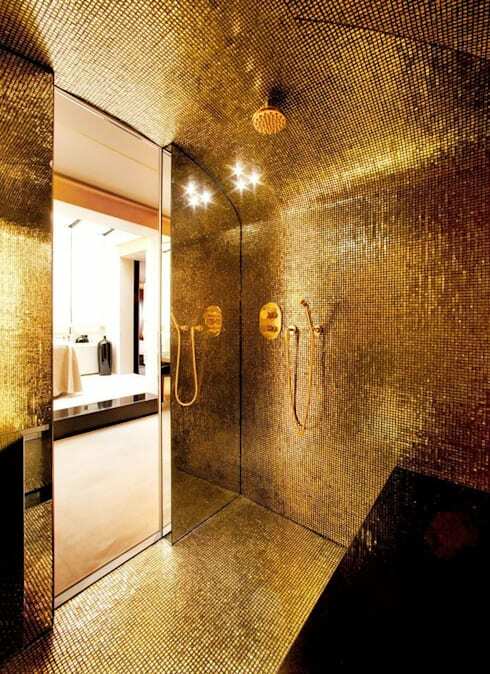 These tips will surely make any home's bathroom like a luxury hotel. If luxury isn't really what you had in mind, but simply to make a small bathroom easier to live with, we've also got you covered. Which of these hotel bathrooms did you like the most?